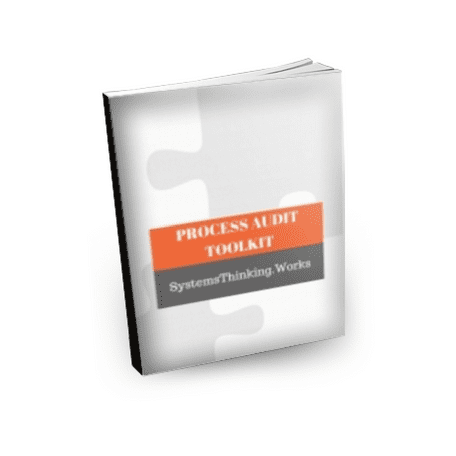 The Process Audit Toolkit is 30 pages of practical tips, dialogue and examples. It includes discussions on process mapping, turtle diagrams, and internal process auditing. It includes practical examples of forms that you can use immediately to better document your process maps, process definitions and schedule and summarize your internal audits. We’ve also included a combined list of ISO 9001:2015 and IATF 16949:2016 requirements for Documented Processes, Conformity, Effectiveness and Efficiency. A total of 100 requirements. We offer the Process Audit Toolkit in its native Microsoft Word format and in Adobe PDF so you have it ready and functional immediately. Simply take the forms along with the insight provided and run with it. Whether you purchase the ISO 9001:2015 Guide eBook or the ISO 14001:2015 Guide eBook or the bundle, it’s included. We hope you find it useful towards continually improving your management systems with more effective, clearly defined processes and auditing programs. The Process Audit Toolkit is free with any purchase of the ISO 9001:2015 Audit Guide and Checklist or the ISO 14001:2015 Audit Guide and Checklist eBooks. Once payment is confirmed you can download your copy immediately. If you have questions please take a look at our FAQ page or contact us directly. We will not sell your email address and we do not spam. Please note that the Toolkit is not offered free with purchase of kindle versions of the Guides.